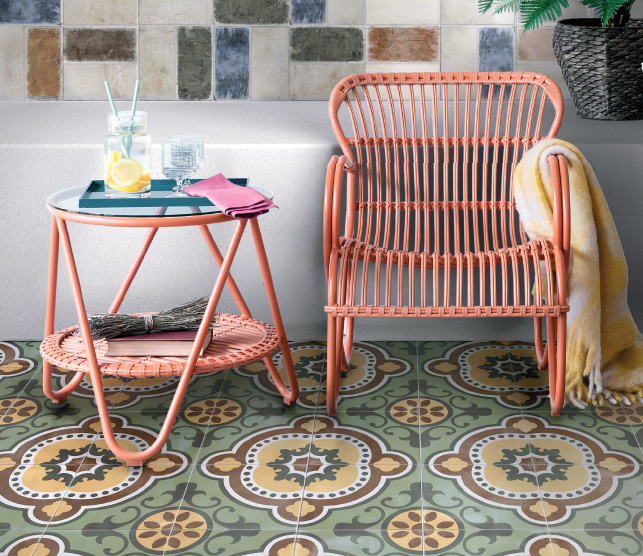 Encaustic tiles were developed over ten centuries ago, reemerging across various Mediterranean cities during the 19th century. The concept is recovered in this selection of individual designs which compose our Lugo line. This porcelain will be an excellent choice for any area of your space due to a new technique developed that offers a smoother finish with a higher adherence and anti-slip rating, thus, making it ideal for bathrooms and kitchens as well as any other room.